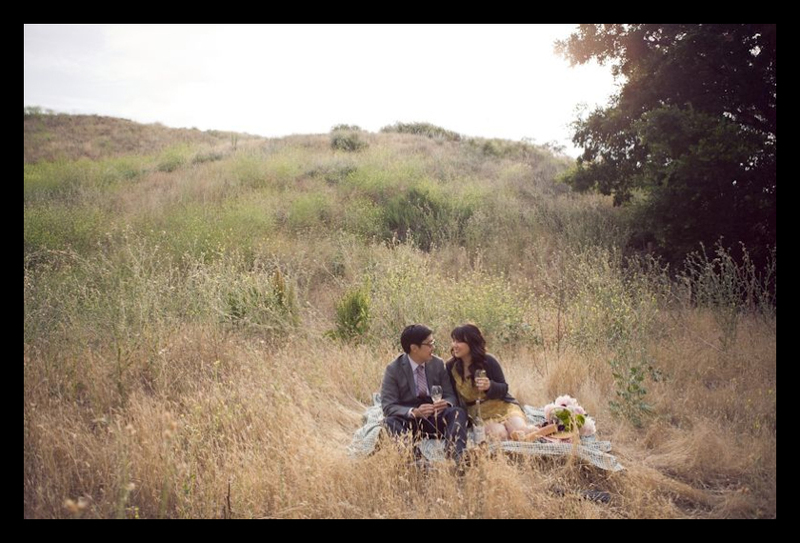 A photography shoot by Amanda Rynda of newly engaged couple, Juliana Sunmi Park and Benjamin Jinsuk Lee. The Los Angeles shoot overlooks the traditional but bland engagement storyline of boy-meets-girl for an infinitely more compelling narrative. 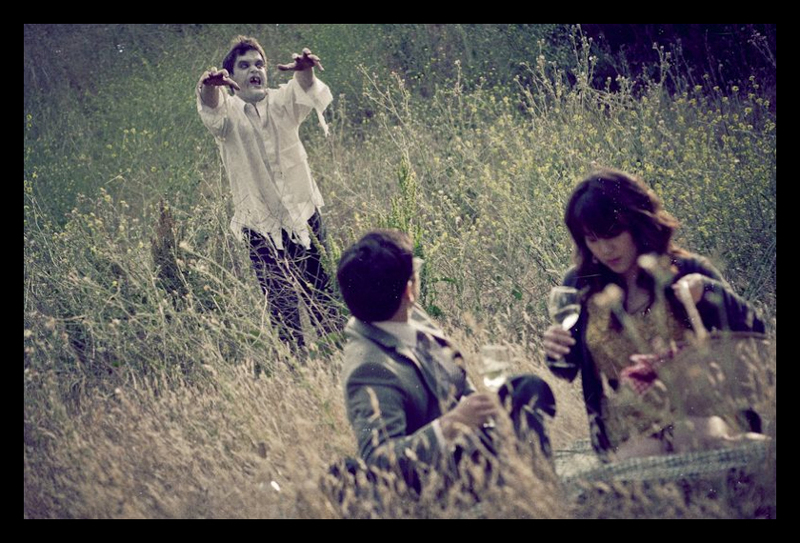 Somehow, despite their ghoulish appearance and intensely monomaniacal disposition, western culture is in love with zombies. They are everywhere – they have infiltrated mainstream film, literature, gaming, architectural competitions and against all odds, even wedding photography. 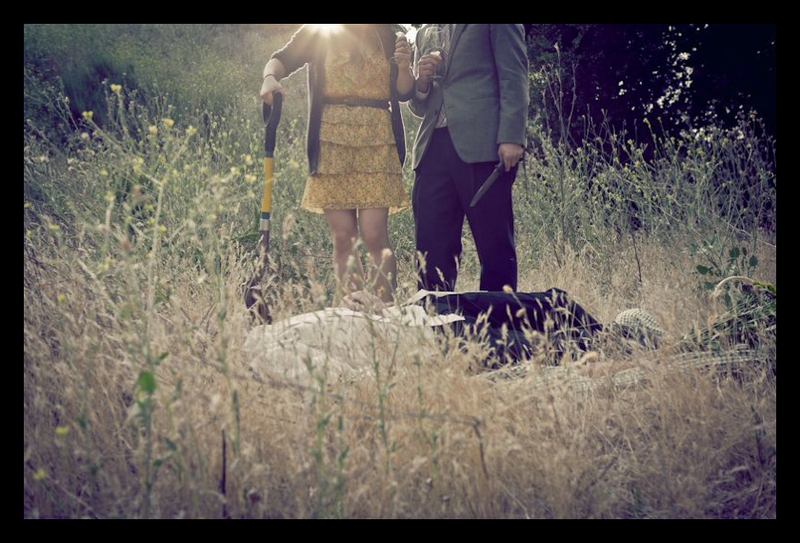 Rynda’s photos have a beautifully nostalgic feel, evoking the perfect engagement picnic as well as the 60s era when zombies were first introduced to the world. She has a practiced eye for composition, story-telling and humour. 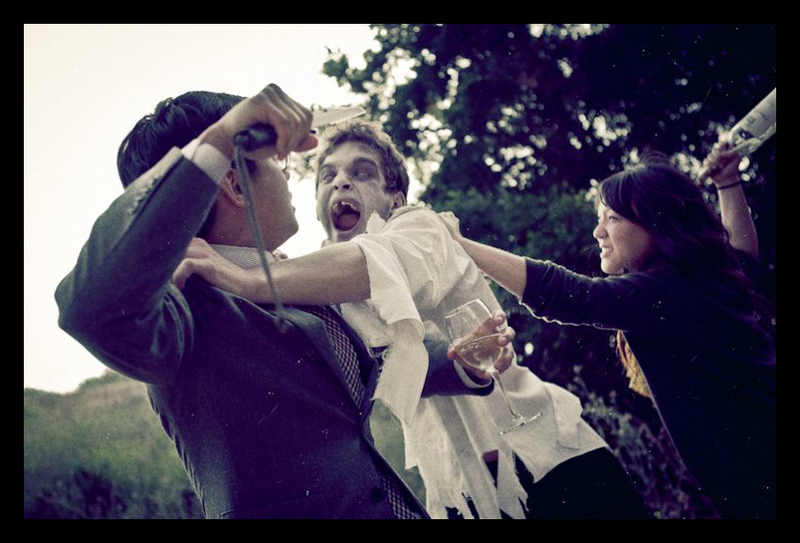 Our particular favourite (not shown in this abridged version – see the full story here) is the photo of Lee gallantly pushing his newly-minted fiancee out of the way of the charging zombie. What better way for a gentleman to show his love for a lady?